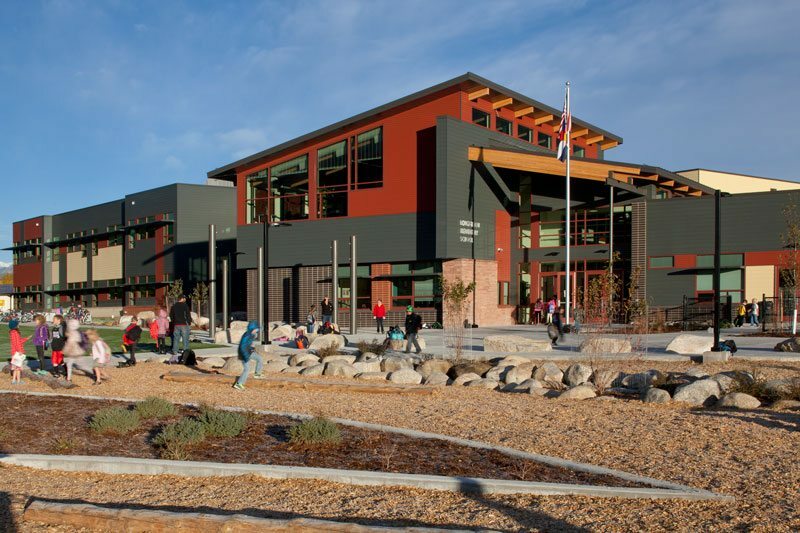 Haselden takes great pride in knowing the state-of-the-art buildings we construct today provide quality learning environments for the current generation of students and for generations of students to come. We focus on understanding not just the building components of each school, but how each individual school functions – from its philosophy to its curriculum – to provide the best services in collaboration with the project’s owner, architect, and faculty. We help schools develop buildings that teach, using our education facility construction sites as teaching tools. We have created programs for every age of student, using the jobsite and the jobsite staff to provide a unique backdrop for teaching math, science, and engineering concepts both on-site and in classroom settings. One of the primary foci for Haselden, especially when working within an occupied school with young children, is safety. All construction plans are developed with student activity and safety in mind. We use our proprietary Methods of Procedure communication tool to make sure you are aware well in advance of our activities and how they can impact students, staff, and the learning experience.